<Once you have it, you’ll never want to walk again. Find out how to fly the Icaros. There is nothing like the January issue of a glossy fashion magazine for stating the case for the year to come. Vogue’s January 2016 issue will do just that. 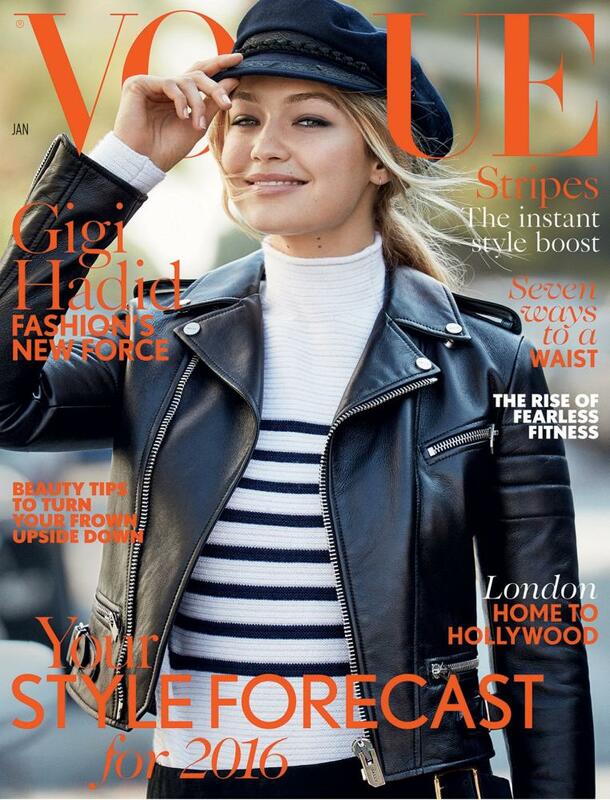 Gigi Hadid – the model of the moment, who is reportedly dating former One Direction star Zayn Malik – appears on her first cover for the magazine dressed in what is likely to become the “it” item of the new year: the biker jacket. 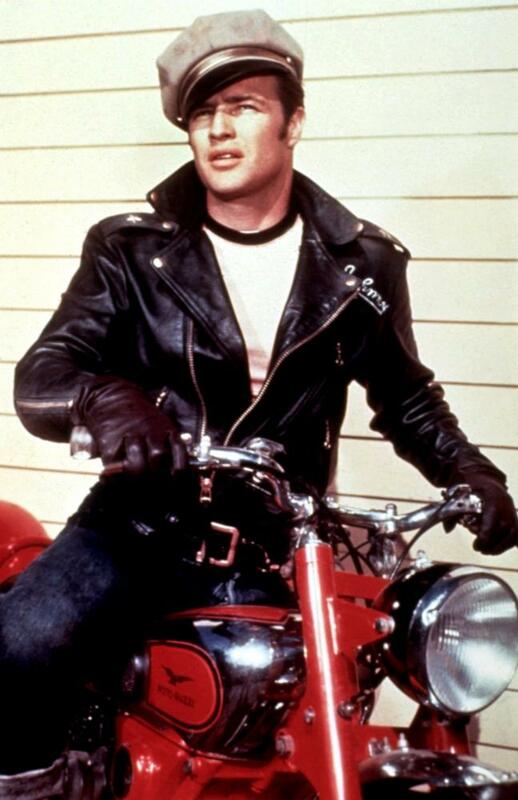 While Marlon Brando and Steve McQueen propelled the biker jacket to becoming the outerwear choice of celebrities and fashionistas in the 50s, 60s and beyond, some of its cool has been lost in recent years. Fashion’s inner circle became seduced by the bomber jacket, the varsity, the three-quarter-length faux fur jacket and the floor-length coat. Once you have one, it works as a classic staple which you can restyle with new trends. But now, thanks to the influence of a number of key designers, high-profile models and that cover of Vogue, it looks as if the classic fashion item is back. High street brands testify that there is now increased demand for the “biker”. Topshop’s head of design, Jacqui Markham, calls it “a perennial fashion classic” for the store’s customers, adding there has been a 160% increase in sales this year. Of the 55 coats on the Whistles website, 10 are bikers, and there are more than 160 available at Asos. Its return to the spotlight could be put down to the effect of designer Hedi Slimane’s Saint Laurent collections. Since he was appointed creative director of the brand in 2012, Slimane has advocated an unapologetically classic rock’n’roll look, and the biker jacket is an inherent part of that. His autumn/winter collection, with a downtown 80s New York feel, featured five bikers, mostly cropped, worn over prom dresses and ripped tights. More are to come, judging by Slimane alone – there were 10 in each of his collections for men’s and womenswear for spring. Other brands, including Alexander Wang and cult label Vetements, also had versions in their collections. Then there was Slimane’s front row, where models Binx Walton and Irina Lazareanu both wore bikers: a sure sign that the jacket is back. If Brando and McQueen are the original biker wearers, its place in recent fashion history is as a part of the off-duty model’s wardrobe. The Acne Rita biker in shearling was the status piece of this uniform around the turn of the decade, worn with a grey marl T-shirt, skinny black jeans and biker boots. Arguably, it went on to be too mass for trendsetters; nonetheless, style photographer Phil Oh – who works for American Vogue’s website – photographed more than 20 models wearing bikers during the most recent show season. This prompted the website to declare that it had once again become “a closet cure-all for those feeling either sartorially uninspired or in need of some rebel direction”. The cure-all factor is arguably the main reason the “biker” is enjoying yet another moment. It is the sartorial equivalent of stating the obvious, but has an undeniable cool through associations with subcultures ranging from rockers to punks. Hadid, wearing hers with a sailor’s cap – a nod to Brando’s outfit in the 1953 film The Wild One – explicitly points this out. This is not a trend for obscure insider references; it’s happily familiar and therefore unapologetically commercial. Slimane’s collections have been too much of a tried-and-tested version of this aesthetic for some critics, but they seem to have boosted the brand’s sales. For the third quarter of 2015, they rose by 36.9% to £172.16m. It is reworking this classic that keeps it in the cycle of fashion’s favourite outerwear – and 2016, it seems, will be no different. Gigi Hadid on the cover of January’s Vogue.